The end of the day should always be celebrated, time to unwind, switch off after a hard day’s work and treat yourself. What better way than with some handcrafted snacks and a refreshing drink?! 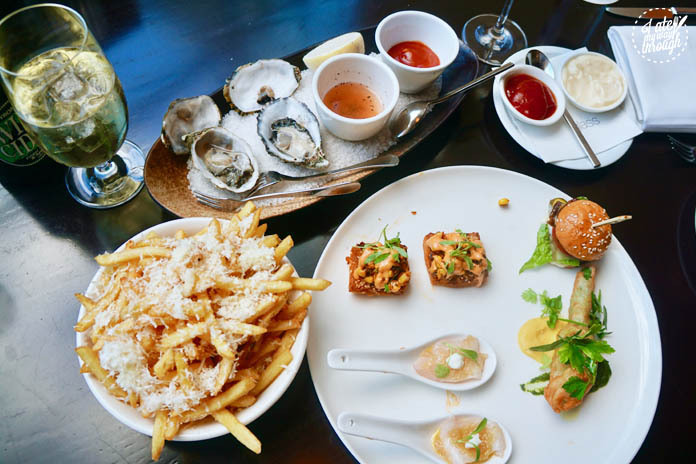 Glass Brasserie at Sydney’s Hilton Hotel has launched a range of tapas eats perfect for those feeling a little peckish, wanting a light dinner or even if you’re after a late lunch. Glass Brasserie itself is something out of a New York scene with sweeping high ceilings, welcoming diners with an impressive floor to ceiling wine cellar, timber finishes contrasting against the sleek modern architecture and amazing glass windows overlooking the grandeur of the Queen Victoria Building opposite. 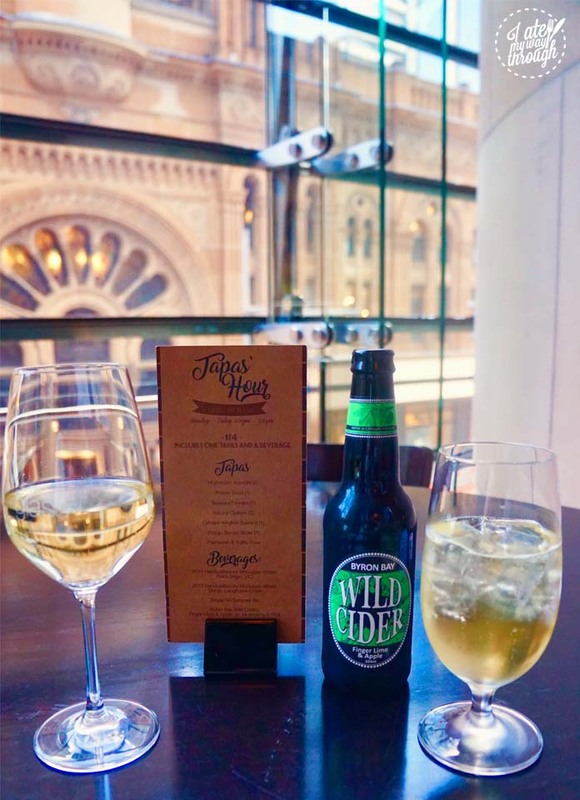 The Tapas menu is great value with $14 getting diners a house wine, beer or ice cold cider, a snack from their wide list of offerings. The wines are Australian hailing from the label Handcrafted by McGuigan Wines whose vineyard is located in Langhorne Creek, Victoria. The white is a crisp Pinot Grigio whilst the red is a crowd pleasing Shiraz. Meanwhile a Single Fin Summer Ale and Byron Bay Wild Ciders will quench your thirst just as wonderfully. 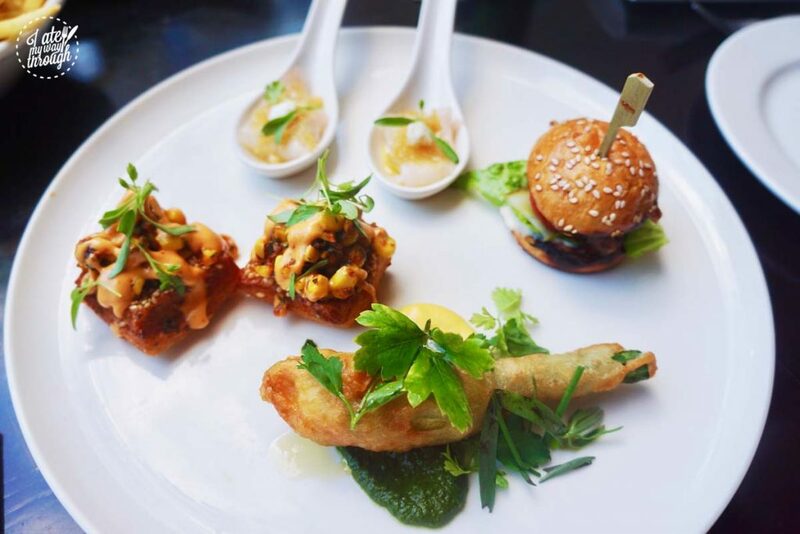 The collection of tapas are all delectably good and this makes it hard to pick one! Who doesn’t love a burger, am I right?! 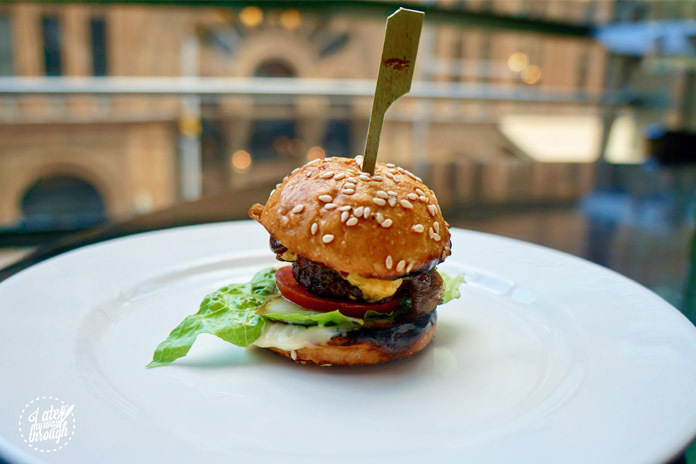 Especially sliders, these bite size delights are incredibly moreish but without the heaviness and guilt of an entire burger. This wagyu burger slider was on point, with a juicy beef patty, cheese, lettuce and tomato on a little brioche bun, I couldn’t fault it! The Prawn Toast (2 pcs) was another favourite, imagine a tricked up version of your Chinese favourite with a whole lot more edge, produced in house with fresh ingredients. 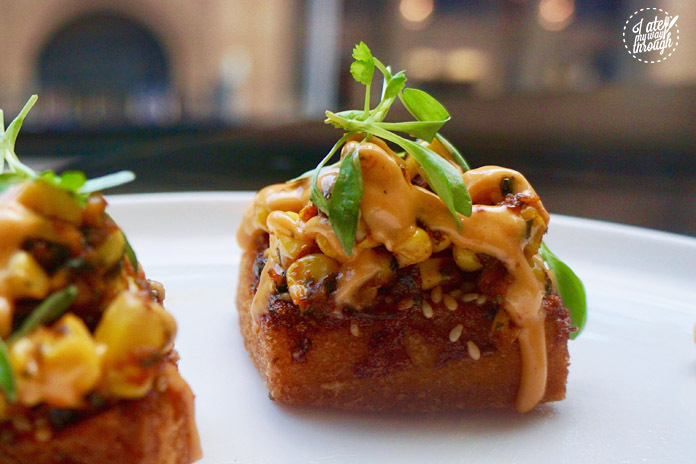 The toast was a glorious golden colour with a crispy outer crunch, filled with meaty insides, all topped with sweet corn salsa and some chilli aioli. Scrumptious! 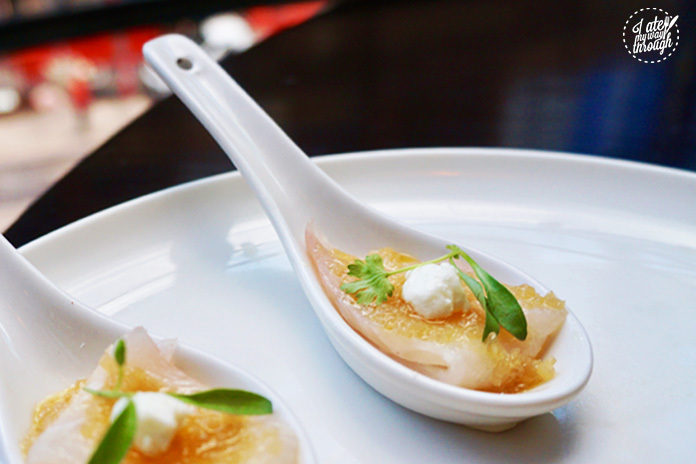 Meanwhile for those after something a little healthier and lighter the Canape Kingfish Sashimi (2pcs) is perfect. The raw fish is cured with a zesty citrus dressing offering a hint of sweetness. The Tempura Flower, was a filling tapas item. A zucchini flower was stuffed with a cheesy mix, battered in a light tempura then deep fried to crispy golden goodness. The cheese mix was warm and melty, oozing out like molten lava. The flower sat on a bed of basil pesto that complimented it wonderfully. 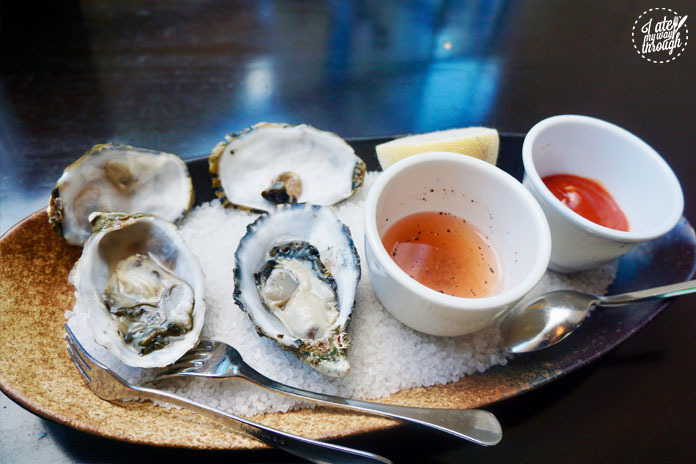 If you opt for the oysters, you receive two alongside their house sauce and vinaigrette. It’s impressive value considering two good quality oysters generally sets you back $8. The matching vinaigrette was absolutely delicious, not too acidic and with a slight hint of sweetness- it went down a treat. The Parmesan & Truffle fries speak for themselves. 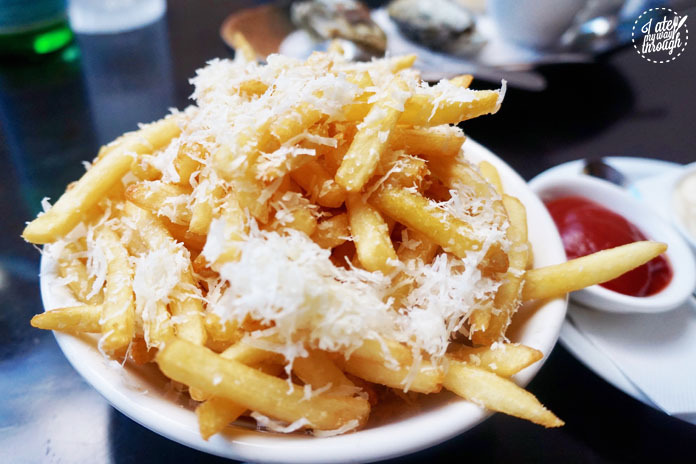 A generous bowl of fries with a hint of truffle and crowned with finely grated parmesan cheese. You deserve a treat after a long day and these are wickedly naughty but addictively good! Treat yourself I say! 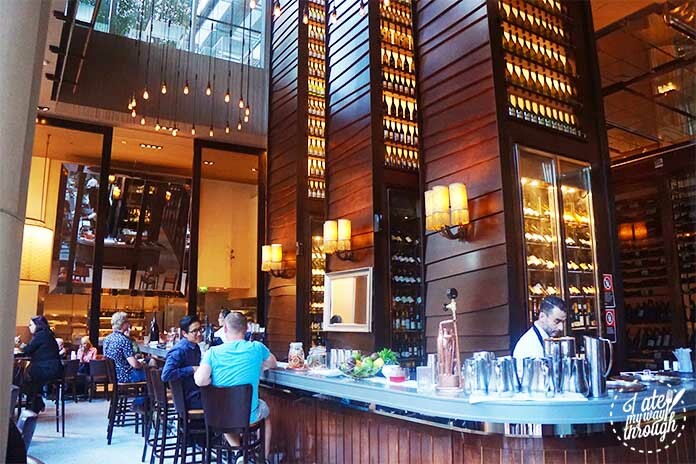 This new menu is the perfect way to enjoy a drink at the end of the day with high quality snacks prepared by the skilled chefs at Glass Brasserie, all executed to five star standards as one would expect. It’s a great deal and one I truly recommend investing in it!